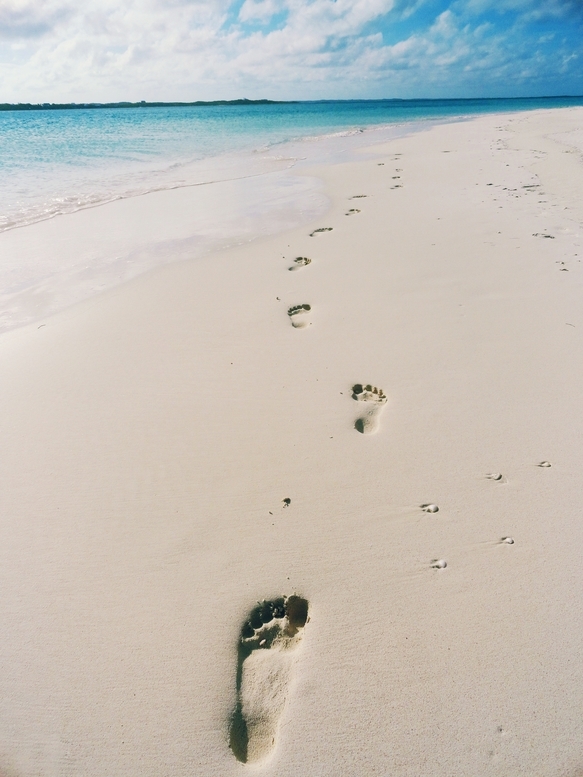 Everybody is familiar with the main island of the Bahamas (you know, the one with the Atlantis), but you should should start familiarizing yourselves with the Exumas. 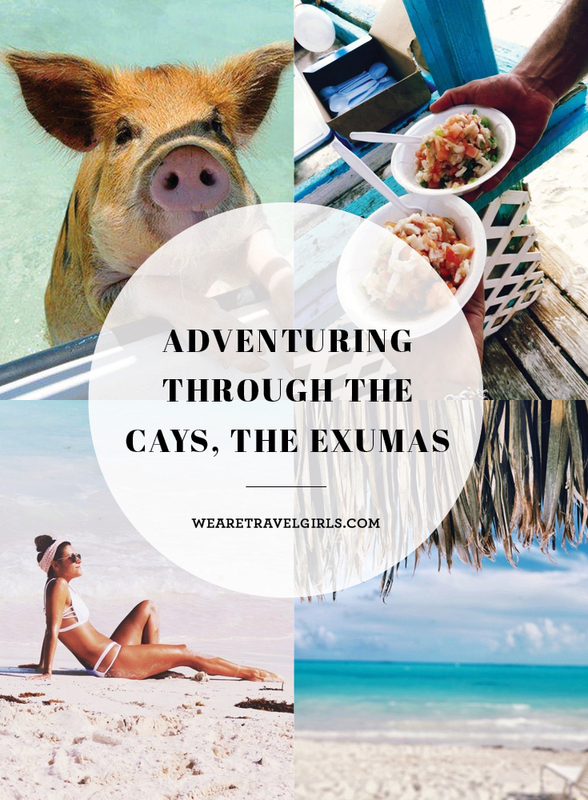 The Exumas are are a chain of 365 cays (think islands) that are considered Bahamas’ territory. It’s the perfect destination for island hopping, relaxing, diving and most importantly, adventuring. 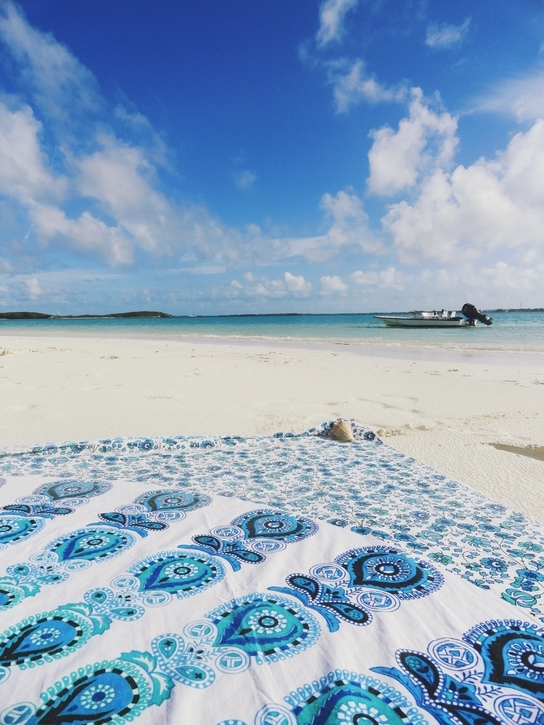 I recently took a trip to The Exumas and want to share my tops tips for enjoying this incredible part of the world. 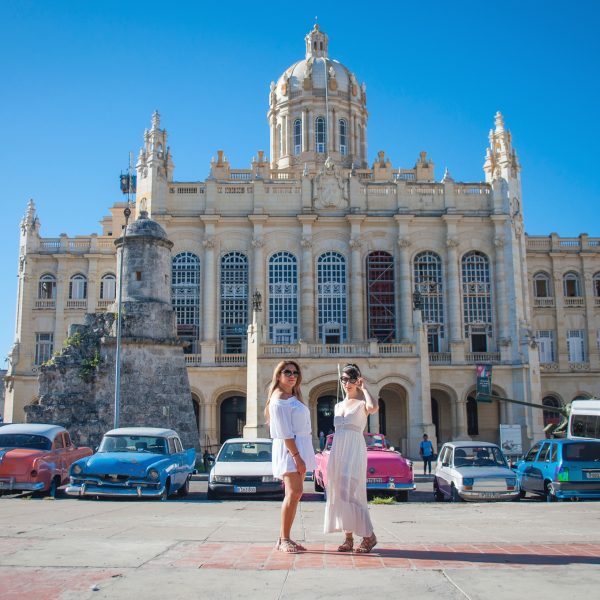 There are not many places in the world where you can visit over 50 islands in a day. This sounds ridiculous and not relaxing at all, but in fact it’s quite the opposite. Exuma Water Tours offers an incredible full day excursion that takes you throughout the cays, past celebrity homes, snorkelling in a cave where a James Bond movie was filmed, starfish diving, and to many one-of-a kind beaches. 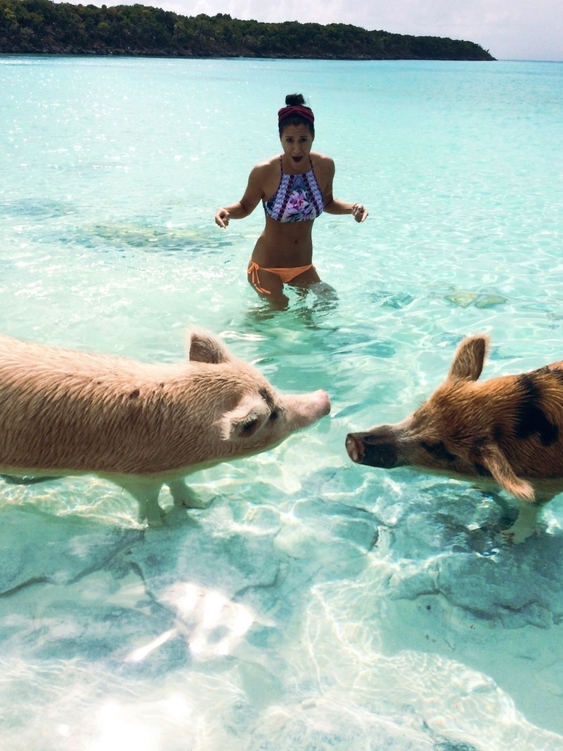 If there’s one differentiator between the Exuma islands and anywhere else in the Caribbean, it’s the swimming pigs. Yes, you read that right, the swimming pigs. 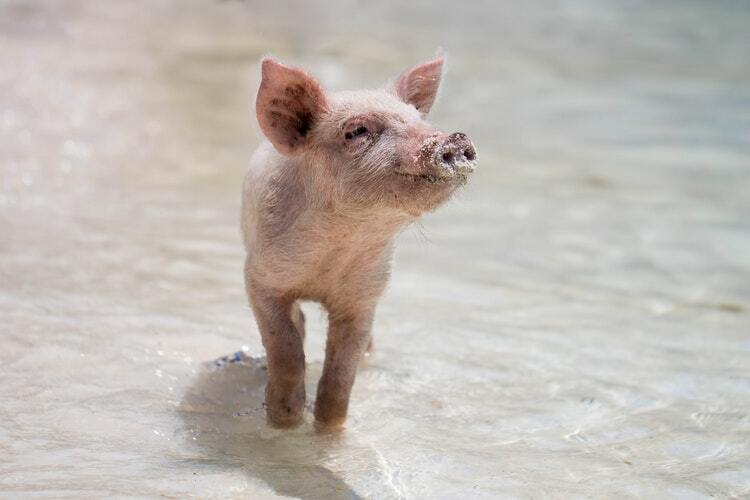 Step out of your comfort zone (or into it) and go for a swim with the piggies. It’s wild, fun, and will definitely leave a smile on your face. Spoiler alert: they’re not the biggest fans of selfies! 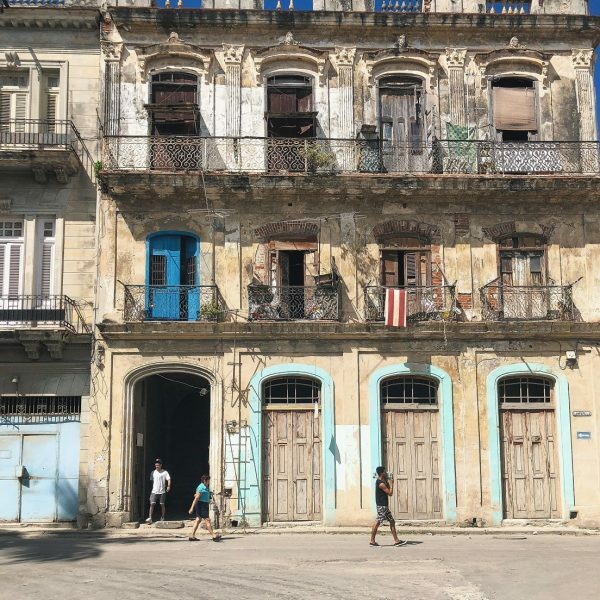 Imagine buying an island, living there for a few years, and then having to sell it (at a lower price) because of your new neighbours, the lizards. That is exactly what happened to Nicholas Cage (poor guy) and his Exuma cay. 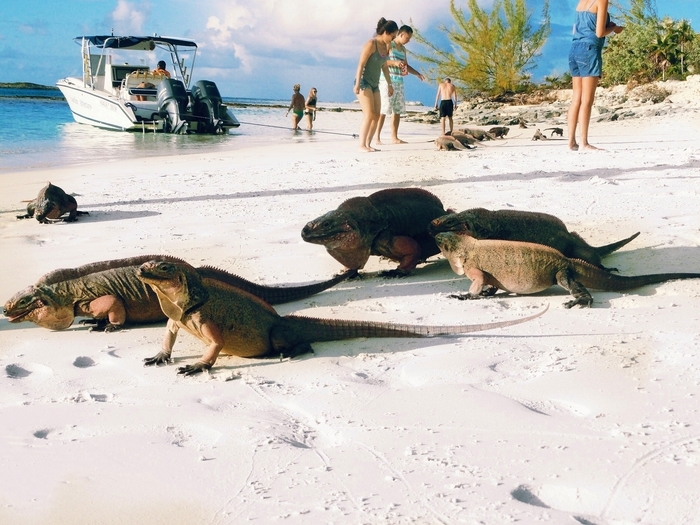 Don’t miss out on hanging out with these friendly creatures at Lizard Beach. Plus, if pigs aren’t your thing maybe lizards are? 5 days is the ideal time for an Exuma vacation. 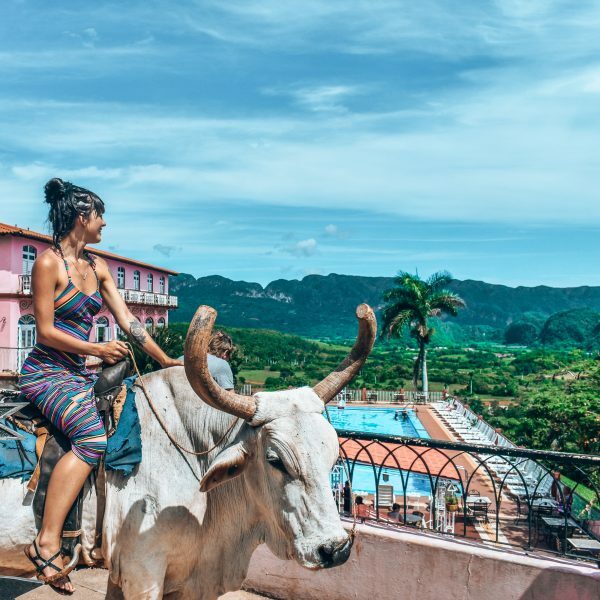 A day for relaxing, a day for excursions, a day for relaxing, a day for adventures, and you guessed it, a day for relaxing. On Great Exuma Island, the best hotels are definitely Sandals (if you’re looking for something all-inclusive) and Grande Isle Resort (where I stayed). Grande Isle has gorgeous villas located on a beautiful beach with crystal clear waters. Can you say, relaxing? And don’t forget to have a pina colada, or two! 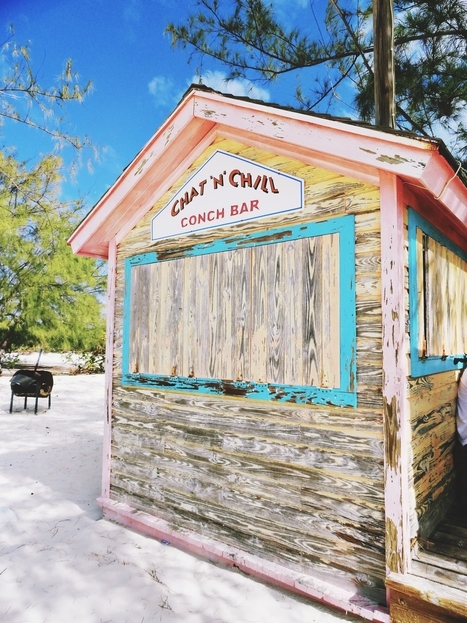 Spend one of your days cruising throughout the Cays on your own. That’s right, rent a boat! From Great Exuma I was able to head from Georgetown (town-center where the boat rentals are) to many other little islands. There are so many cays that chances are you will be able to have a whole beach to yourself like I did! 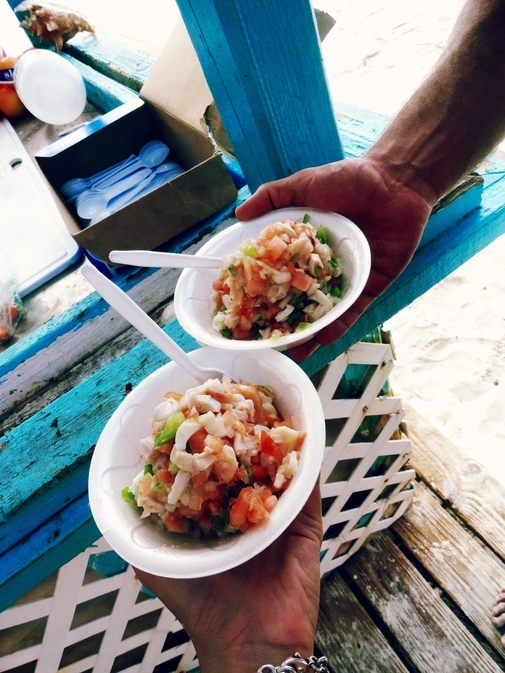 Hop over to Stocking Island to hang at Chat and Chill and have some of the locals whip you up some fresh conch salad. They take the conch out of the ocean right in front of you! While you’re there don’t forget to say hello to the stingrays. Eenie meenie miney moe, don’t let a stingray bite your toe (words to live by). I hope I have give you some ideas for your next adventure to The Exumas. If you have any tips and recommendations, please share these with our readers in the comments below. Have you ever been to the Exumas? If you have any additional tips for our readers or questions please leave these in the comments below.